Filmmaker who first rose to fame as one of the founders of the hit flash animation cartoon series Homestar Runner. 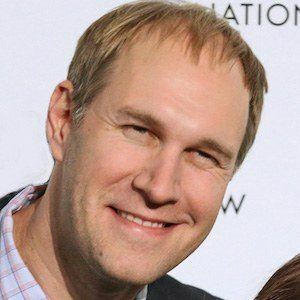 He has since become known for his feature films Compliance, Great World of Sound, and Z for Zachariah. He met future collaborator David Gordon Green while studying film at the North Carolina School of the Arts. In 2011, he produced the HGTV series Kitchen Cousins starring Anthony Carrino and John Colaneri. Born in New York, he grew up in Atlanta, Georgia. In 2015, he directed the Icelandic drama Z for Zachariah starring Margot Robbie, Chris Pine, and Chiwetel Ejiofor.